When remedies are practiced over centuries to improve inner health, rejuvenate outer radiance and tantalize the senses, it will today have been refined to an art form. 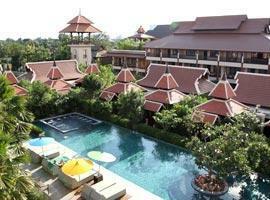 In Thailand's north, the best Chiang Mai spa retreats and wellness resorts have the skill and experience to take you on a journey of total transformation and, they are in the ideal surroundings to help purify the mind. Immersed in the hypnotizing tranquility of lush rain forest in locations such as the Mae Rim Valley, Mae Ann Valley or even on the banks of the romantic Ping River many top spa resorts can be found specializing in modern treatments infused with ancient practices to revitalize the body, restore energy and generally just make you feel better. Treatments are customized for every individual and can include wellness programs stretching over 3 to 9 days covering the whole nine yards to simply being pampered with massage, wraps, scrubs and beauty care to improve skin elasticity, reduce wrinkles and restore a youthful radiance. You can also benefit from yoga and meditation as well as address weight issues with dietary plans. Chiang Mai is a wonderful escape from the familiar and ordinary and even if you do not intend taking part in a wellness program our list of retreats will offer the ideal holiday accommodation base where you can enjoy the services of a spa as and when you please plus an opportunity to experience an authentic northern lifestyle in exotic surroundings with enchanting views. Besides the pampering body treatments and anti-aging remedies which await Anantara also feature a romantic riverside setting and rooms with river views. 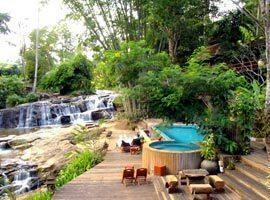 Ban Sabai is a tranquil oasis a million miles from life's familiarities. 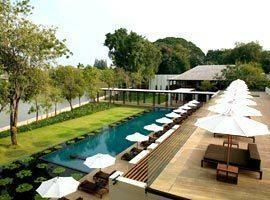 At this yoga retreat you can exercise next to lotus ponds and benefit from detox and wight-loss programs. 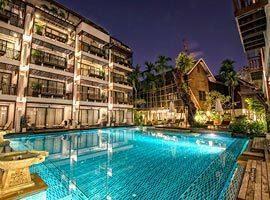 Located on the classic Thapae Soi 4 one way road the resort is in the heart of the city surrounded by attractions including the Sunday Walking Street. 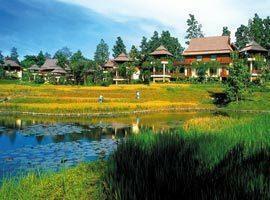 Escape to the Mae Rim Valley for an authentic northern lifestyle experience and spa treatments combining award winning products and age old Thai remedies. 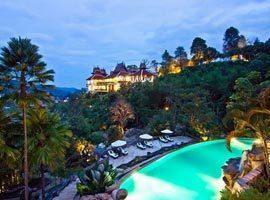 Located outside the ancient walls of Old City the resort is a romantic escape for a couples spa holiday. 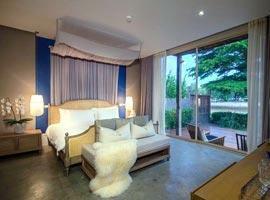 Rooms feature traditional decor created by the mountain people. Enjoy private outdoor treatments high on a hilltop revealing beguiling views of misty valleys, mountain tops and forest before retreating to your private pool villa. 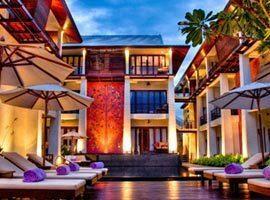 This boutique hotel is set partly in a 140 year old teak house in the city, yet it is wrapped in tranquility. 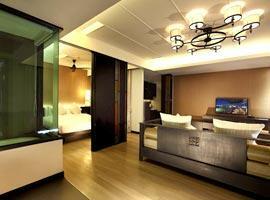 It offers full wellness programs, beauty treatments and massage menu. Located on the river with a rooftop bar, swimming pool and Bohemian style rooms with private balconies overlooking the flow of the Mae Ping river. Close to cozy restaurants. No need to travel to the corners of the earth to find peaceful seclusion. 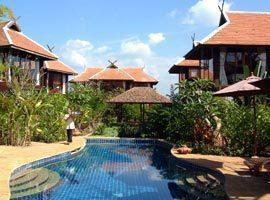 Siripanna is in the city complete with rice paddy, tranquil gardens and authentic accommodation. This small luxury boutique resort and spa sits on the bank of a mountain stream complete with a gentle cascading waterfall and surrounded by lush jungle. With only 41 rooms this hotel is able to give every guest personal attention. It is located walking distance from the famous Thapae Road Shopping district. 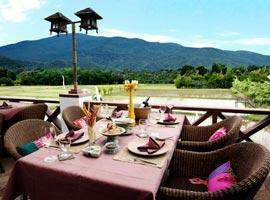 Veranda is a mountain retreat a short drive outside Chiang Mai. 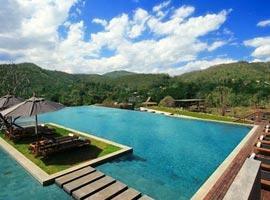 Its infinity edge pool look toward a misty rainforest and its private pool villas are romantic sanctuaries.